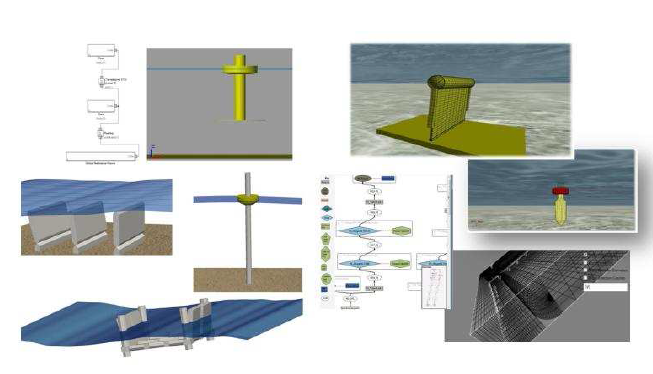 DTOcean, which stands for Optimal Design Tools for Ocean Energy Arrays, aims at at accelerating the industrial development of ocean energy power generation knowledge, and providing design tools for deploying the first generation of wave and tidal energy converter arrays. It gathers 18 partners from 11 countries (Ireland, Spain, United Kingdom, Germany, Portugal, France, Norway, Denmark, Sweden, Belgium and United States of America) under the coordination of the University of Edinburgh. The newly released, open-source, integrated DTOcean v1.0 software package can be downloaded here. OPERA is a European wave energy project which aims to collect long-term open-sea operating data from offshore and shore installed devices, delivery results for reducing structural costs and greatly increase power production, reduce technology-related uncertainties and advance standards for reducing business risk.